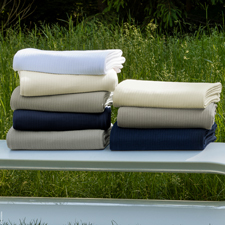 Find blanket best sellers from DEWOOLFSON, Peacock Alley, SFERRA in plush cotton to our extremely popular white down blanket. Our designer blankets are made from Egyptian cotton, brushed cotton, long staple combed cotton to DEWOOLFSON's own down filled blanket with satin binding. 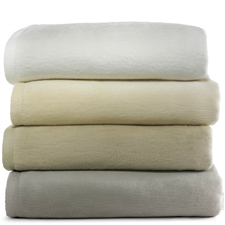 These blankets come in a range of neutral colors in several patterns such as herringbone or basket weave. You are sure to stay cozy and warm year round with any of these selections.